So you’ve got your heart set on a photo booth for your wedding or upcoming event. Awesome! In our opinion, you just can’t go wrong with a photo booth! The only problem now is choosing which type you want. 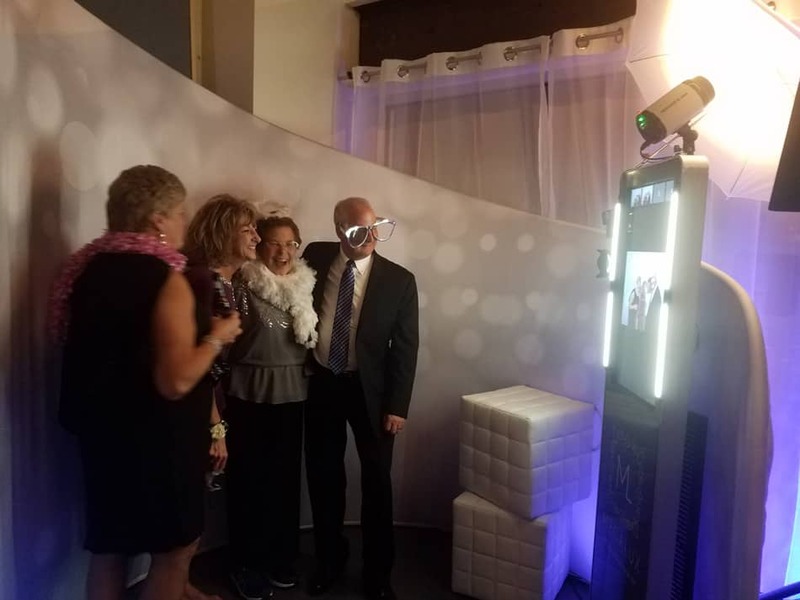 If you’re new to the photo booth rental world, you might be surprised to see that there are different types of photo booths that have different looks, sizes, and functionality. 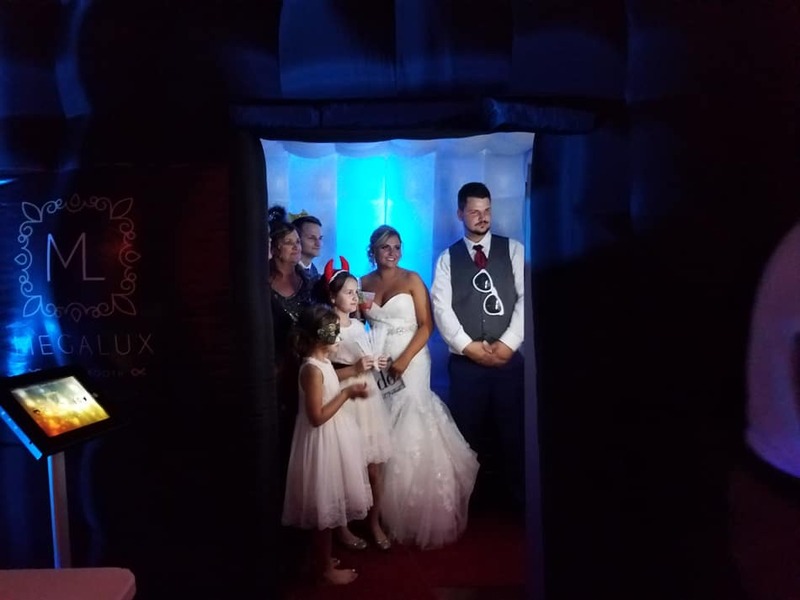 One of the many great things about Megalux Photo Booth is the fact that we have a wide variety of booths to choose from! They can be divided into three categories, Open Air Booth, Enclosed Booths and Semi Enclosed. Enclosed booths are photo booths that completely surround the guests. It completely hides the person that goes in and takes a photo, almost like walking into a small room. However, styles have changed since the mall style photo booths that only fit 2 people. Enclosed booths these days can stand in upwards of 8ft high and 8ft wide fitting 12-16 people! Some are inflatable and come with internal glowing lights, while others have light aluminum frames and spandex walls. These booths may require more setup time, and may take up a considerable amount of floor space. The Semi Enclosed booths are a happy medium between the enclosed and the open air booth. If you like the idea of being surrounded but still want the booth open and airy, then this might be the way to go. Your shy guests may like the fact that it has a bit of privacy as well. These, like any enclosure, may require a larger footprint. Semi enclosed booths are still pretty rare since they are usually custom ordered and made specifically for the company. Still want one at your event? Find you a company that has one in their arsenal. A good example of this would be our SemiLux Booth which is 8ft in diameter and 8ft at its highest point. Open Air Booths are booths that operate without any structure or enclosed area that hides the guest. When a client selects an open booth, they are most likely wanting a small footprint with a simple clean look and you can usually choose a backdrop to compliment your theme or to give a certain vibe. Sometimes the venue has a beautiful wall or a feature wall that could be used as a backdrop, making your photos really unique! 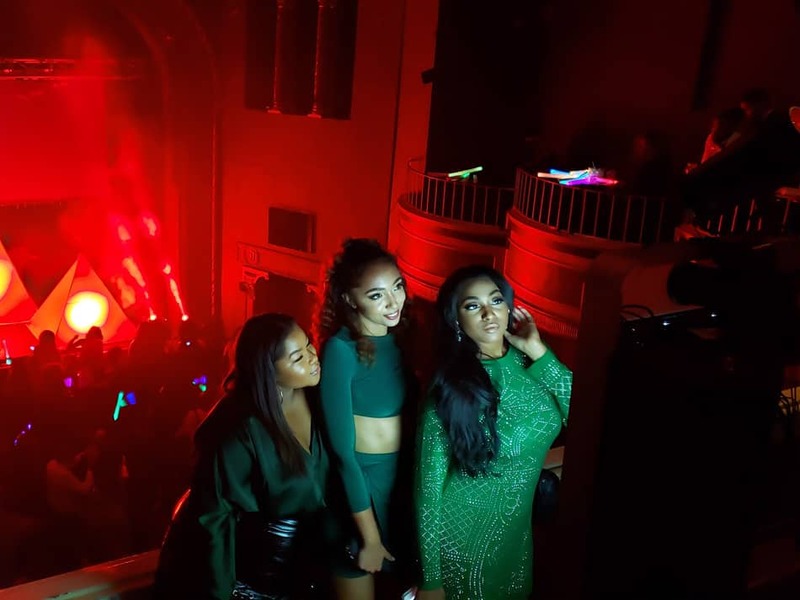 If you opt out of having a backdrop and the walls are boring in your venue, you can set the booth where it’s facing the party using the crowd as the backdrop. One of the biggest pros to an open air booth is the fact that a large number of people can crowd into a photo, so depending on your space, you could get a huge group shot! Always check your venue space, ceiling height and floor plan to make sure you have an adequate amount of space. An area of about 10×10 is a good start for most photo booth options. If you go for a large booth, keep in mind that there still needs to be room for a line. Keep a healthy line of communication open so the photo booth can execute your vision. Hopefully this helped shed some light on the open vs enclosed confusion! What do you think will be the best for your event? 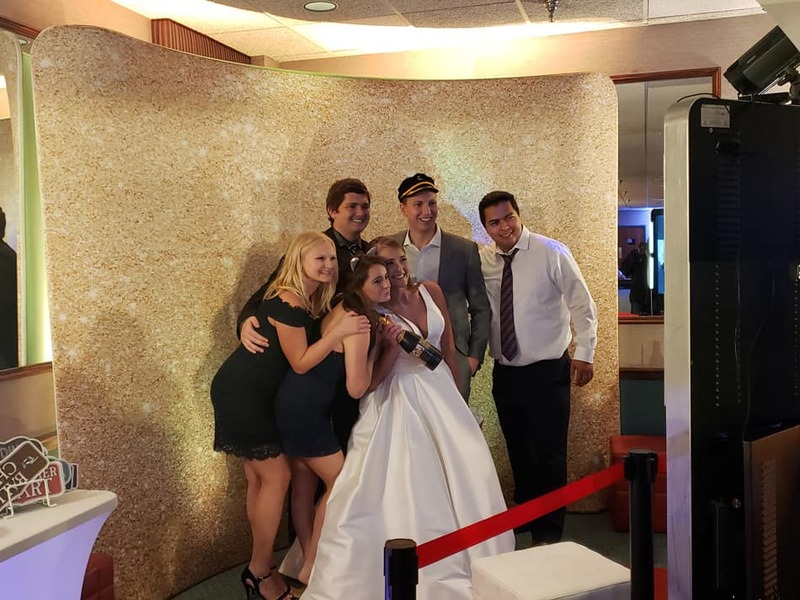 Our diverse selection of booths can be viewed on our photo booth rental page. 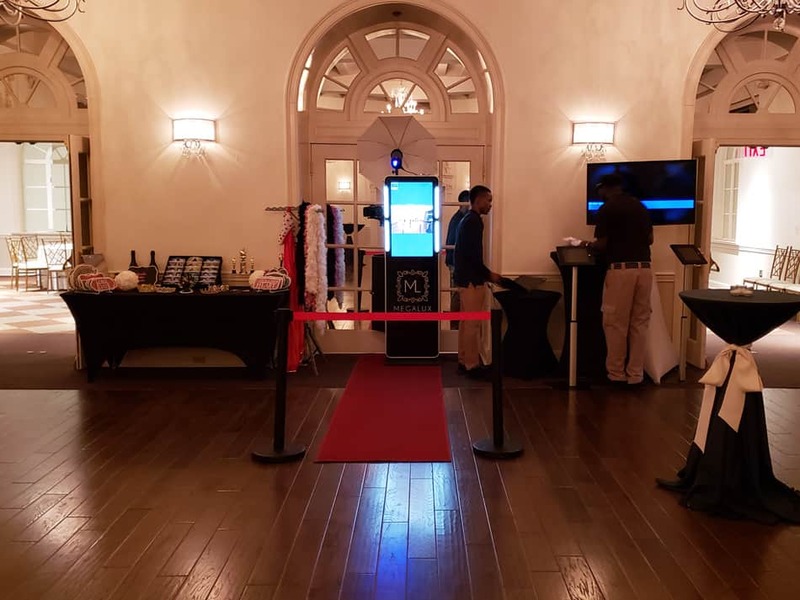 Adding a social media sharing station to your event is necessary!